Mike ****: "Ordered a pair of Stonk Day Runner lights yesterday about 10 am. Arrived this morning. Installation was easy, top quality product. Awesome service. I'm impressed. Look great on the Bandit." John ****: "Thanks Julie, much appreciated. Stonk LED fog lights and switch arrived today. Looking forward to getting my local Yamaha dealer to fit them like they did the Stonk LED daytime lights. Switch is really handy. Thanks for Stonk PDF instructions. Cheers, John." 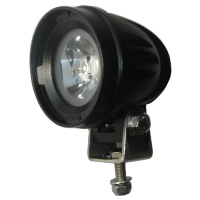 Very powerful LED fog lights. Twice the distance and brightness of the headlight. Fitted neatly on fender brackets each side of forks without having to install a crash bar to fit them to first. Tyron ****: "Awesome purchase, shipment was very fast and great communication. Will purchase from again for sure." Stephen ****: "Truly the quickest delivery. The light is a very solid unit, looks like it will last forever." Andrew ****: "Good quality product, very efficient supplier." Rick ****: "Hi Julie, I received my Stonk lights yesterday and fitted them in the evening.The lights are good quality as expected. The only thing that was missing was instructions on how to assemble the plug/socket in the right order to use the waterproofing stuff supplied. I did manage to put something together that looked like it would work but it took a while to sort out. I didn't ride my bike to work today so can't tell how cars will react to them yet and whether they have been set at the correct level. Cheers Rick" [FastBikeGear comment: Many thanks Rick for the excellent feed back. We will have a look and see if we can put together some simple instructions for assembly of that waterproof connector for other customers"
Dereck ****: "Hi there, just letting you know these lights do work well as cornering lights.regards, Dereck." Dereck ****: "Arrived today as expected. Many thanks." Hamish ****: "Good Communications, Fast Shipping, A+++ deal." Stephen ****: "Truly the quickest delivery. The light is a very solid unit, looks like it will last forever." ..
Tyron ****: "Awesome purchase, shipment was very fast and great communication. Will purchase from again for sure." .. 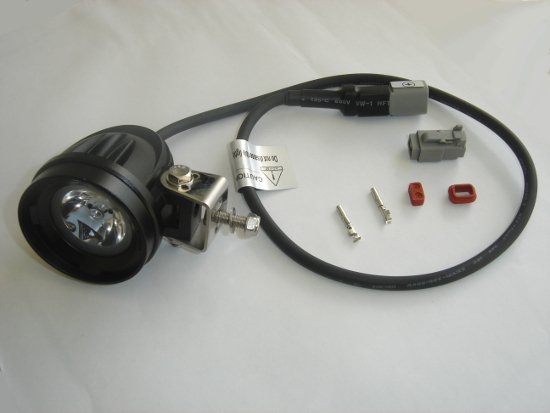 Very powerful LED fog lights. Twice the distance and brightness of the headlight. Fitted neatly on fender brackets each side of forks without having to install a crash bar to fit them to first. ..